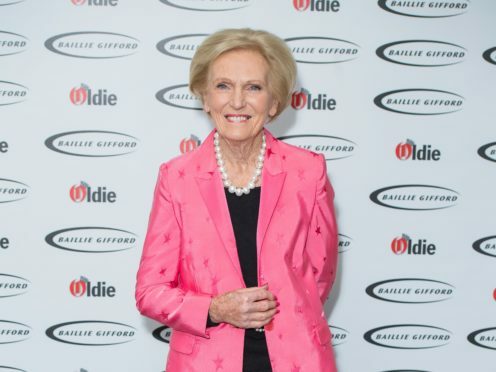 Mary Berry says she limits her grandchildren’s screen time when they are on holiday together. A recent report found that children find it “too much effort” to interact in real life and prefer to watch YouTube, while another study has warned about toddler development. Berry, speaking before the Oldie Of The Year Awards, revealed her recipe to moderate the use of tablets and mobile phones. “It’s up to the parents and schools to be controlled and it should be controlled,” she said. Her comments come after Location, Location, Location presenter Kirstie Allsopp told how she smashed her children’s iPads after they broke her rules about screen time. Speaking before the awards ceremony – where Amanda Barrie, Sheila Hancock and Lionel Blair won gongs – the cookery book author and broadcaster said she was enjoying having more time to do what she wants after leaving The Great British Bake Off. “I’m delighted that Prue Leith took over my job and she’s doing amazingly well and she’s loving it,” Berry told the Press Association. She said Bake Off, which moved from the BBC to Channel 4, would continue for years to come.